The arrival of Bengal white tiger quadruplets — born at the Polish zoo Safari Borysew on March 21 — has been met with mixed emotions. While the zoo is touting their newest offspring with a cub naming contest, animal rights activists are growling about their birth. The youngest inhabitants of the zoo are not their own species, but they are genetically created by inbreeding. 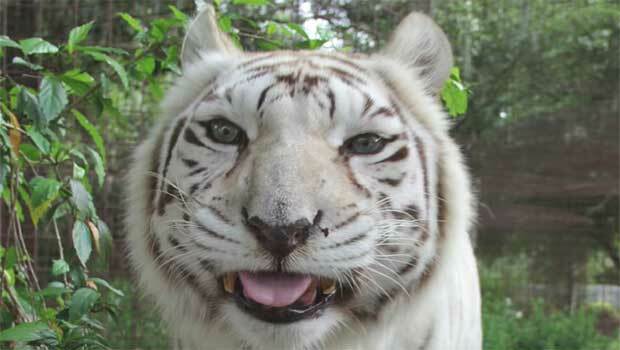 The white tiger is extremely rare and only born in captivity. With only about 200 white tigers left in the world, this is a welcomed delivery for Safari Borysew. However, for an organization called Big Cat Rescue, it is an unethical abomination that needs to be stopped. Big Cat Resuce claims that all white tigers living in captivity likely came from the same tiger — Mohan, captured in Rewa, India in 1951. In January 2012, the board of directors for the American Zoological Association (AZA) formalized their 2008 ban on the breeding of white tigers, or white lions. “Breeding practices that increase the physical expression of single rare alleles (i.e., rare genetic traits) through intentional inbreeding, for example intentional breeding to achieve rare color-morphs such as white tigers, deer, and alligators, has been clearly linked with various abnormal, debilitating, and, at times, lethal, external and internal conditions and characteristics, which are outlined in this paper,” their report said. Borysew zoo owner Andrzej Rabich spoke out about the inbreeding. Borysew zoo said the interbreeding only affects one gene, which changes the tigers’ colors, but doesn’t affect the health of the cubs. However, according to the AZA, this is simply not true. While they might be an adorable attraction at the zoo, the AZA recognizes that these big cats should not be bred and admonishes AZA accredited zoos not to breed any more of them.